I am back on my virtual bike trip along the coast of Cornwall. This week I have travelled 9 km from Predannack Wollas to Loe Pool for a total stationary cycling time of 75 minutes. I have missed the Cornwall scenes of hedgerows and meadows, stone houses and seaside quays. 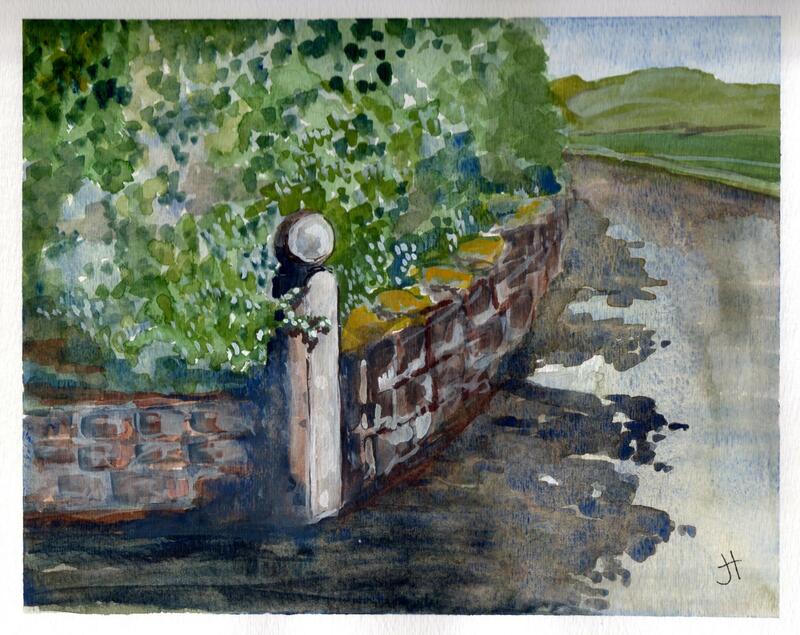 Mostly I have missed seeing the gates, so it is no surprise my first watercolour for this phase of my journey is the stone pillar to a private gate.